2016/8/21(譌･) 縲郡AME ROCK FES'16縲� 縺ｫ蜃ｺ貍�!! 2016/7/17(譌･) 縲窟NTI- CLOCKWISE x NOISE UNION JAPAN records presents縲� 縺ｫ蜃ｺ貍�!! 2016/10/15�ｼ亥悄�ｼ�-16(譌･�ｼ� 縲桑ITAZAWA TYPHOON 2016縲� 縺ｫ蜃ｺ貍�!! 2016/7/16(蝨�) 縲後％縺薙↓縺� 縺九↑縺�縺ｵ縺�縺� 2016縲� 縺ｫ蜃ｺ貍�!! 2016/3/21(譛医�ｻ逾�) 繧ｿ繝ｯ繝ｼ 繝ｬ繧ｳ繝ｼ繝画ｸ玖ｰｷ蠎療嶺ｸ句圏豐｢ERA縲擦IRCLE Vol.4縲� 縺ｫ蜃ｺ貍�!! 2016/3/12(蝨�)-5/8(譌･) 繝ｯ 繝ｳ繝槭Φ繝ｩ繧､繝悶ヤ繧｢繝ｼ縲沓-DASH TOUR 2016 -EXPLOSION-縲� 髢句ぎ豎ｺ螳�!! 2016/3/19(蝨�) 縲郡TANCE PUNKS P.I.N.S JAPAN TOUR縲搾ｼ�縲訓OT"MISH MASH"TOUR2016縲� 縺ｫ蜃ｺ貍�!! 2016/1/23(蝨�) 縲郡TANCE PUNKS P.I.N.S JAPAN TOUR縲� 縺ｫ蜃ｺ貍�!! 2015/12/10(譛ｨ) 縲靴AVE- BEpresents 縺ｵ縺槭ｍ縺�縺ｪ�ｼ薙�槭Φ縲� 縺ｫ蜃ｺ貍�!! 2015/10/17(蝨�) LINK presents 縲沓right Lights,Big City vol.3縲� 縺ｫ蜃ｺ貍�!! 2015/11/14(蝨�) 縲郡HOT DEAD KIDS TOUR FINAL縲阪↓蜃ｺ貍�!! 2015/09/07(譛�) shibuya duo MUSIC EXCHANGE 譛域屆譌･繧貞､ｧ螂ｽ縺阪↓縺吶ｋ繧､繝吶Φ繝医�栗 Like Mondays. �ｽ� 1st Monday.�ｽ槭�阪↓蜃ｺ貍�!! 2015/09/19(蝨�),20(譌･) 縲沓ig1Project 螟上�ｮ髯｣ 繝上ず縺代ｍ!! 豕｡PUNK縲� 縺ｫ蜃ｺ貍�!! B- DASH邨先��18蟷ｴ逶ｮ縺ｫ縺励※Twitter蜈ｬ蠑丞ｧ九ａ縺ｾ縺励◆�ｼ域�斐メ繝ｩ繝�縺ｨ繧�縺｣縺ｦ縺溘¢縺ｩ繝ｻ 繝ｻ豎暦ｼ� B-DASH縲仙�ｬ蠑上�代〒縺ｯ縲；ONGON / TANAMAN / ARASE縺昴＠縺ｦSTAFF縺後ヤ 繧､繝ｼ繝医＠縺ｾ縺呻ｼ�ｼ∫嚀縺輔ｓ繝輔か繝ｭ繝ｼ縺企｡倥＞縺励∪縺�!! 2015/07/18(蝨�) 髦ｿ譎ｺ繝輔ぃ繝ｼ 繝�繝ｩ繧､繝� Vol.2 逾昶�鬧偵Ω譬ｹG-Studio NIRVASH繧ｪ繝ｼ繝励Φ2蜻ｨ蟷ｴ險伜ｿｵ 縲後き繧ｪ繧ｹ or 繧ｳ繧ｹ繝｢繧ｹ 隨ｬ1 蟷輔�� 縺ｫ蜃ｺ貍�!! 2015/08/08(蝨�)髟ｷ驥� 鬧偵Ω譬ｹ G-Studio NIRVASH縲��ｼ蛾仭譎ｺ繝輔ぃ繝ｼ繝�繝ｩ繧､繝坊ol�ｼ�3 逾昶�鬧偵Ω譬ｹG-NIRVASH繧ｪ繝ｼ繝励Φ�ｼ貞捉蟷ｴ險伜ｿｵ縲後Μ繝溘ユ繝�繝� to �ｼ托ｼ抵ｼ撰ｽ樒ｬｬ�ｼ大ｹ� 縲阪↓蜃ｺ貍�!! 2015/06/26(驥�)逾樊虻music zoo KOBE螟ｪ髯ｽ縺ｨ陌弱��TEPETORA vol.111 [LOCAL CONNECT縲碁℃蜴ｻ繝�繝翫げ譛ｪ譚･ 縲阪Μ繝ｪ繝ｼ繧ｹ繝�繧｢繝ｼ]縺ｫ蜃ｺ貍�!! 2015/05/24(譌･)蜷榊商螻� 蛻郁ｰｷ CLUB REON縲�縲粂ARD ENOUGH縲阪�ｮ蜃ｺ貍疲ュ蝣ｱ譖ｴ譁ｰ!! 2015/06/07(譌･)蛻晏床WALL縲� WALL 16th Anniversary!! 繝､繝ｼ繝槭Φ閨門ｿ� presents [蛻晏床繝､繝ｼ繝槭Φ繧ｸ繝｣繝ｳ繝� 繝ｪ繝ｼ vol.25]縺ｫ蜃ｺ貍�!! 2015/04/25(蝨�) 荳句圏豐｢ SHELTER B-DASH presents 縲弱°縺代％縺ｿ縺励∞繧九◆�ｽ�2 vol.3縲� 迚ｹ蛻･邱ｨ ARASE 縺ｮ騾�隘ｲ 髢句ぎ!! 2015/02/25(豌ｴ)譛ｭ蟷後��26(譛ｨ )譛ｭ蟷� MIX UP SPECIAL!! 縺ｫ蜃ｺ貍�!! 2014/12/20(蝨�) THE ADAM'S APPLES & BOB pre.繝溘ル繧｢繝ｫ繝舌Β繝ｪ繝ｪ繝ｼ繧ｹ險伜ｿｵ繧､繝吶Φ繝遺�扞SM窶昴↓蜃ｺ貍�!! 2014/12/31(豌ｴ) COUNTDOWN JAPAN 14/15縺ｫ蜃ｺ貍疲ｱｺ螳�!! 蜃ｺ貍疲律縺ｯ12/31縺ｧ縺�!! 2015/01/30(驥�) 荳句圏豐｢ SHELTER B-DASH presents 縲弱°縺代％縺ｿ縺励∞繧九◆�ｽ�2 vol.2縲城幕蛯ｬ!! 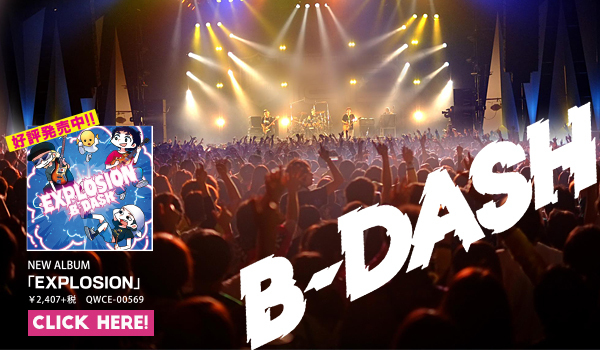 2014/12/04(譛ｨ) CHIBA LOOK 20+5th ANNIVARSARY 縲捌UST TAKE A LOOK縲� 縺ｫ蜃ｺ貍�!! 2014/10/25(蝨�) SABOTEN presents AFRICAN NIGHT SPECIAL縺ｫ蜃ｺ貍�!! 2014/09/20(譌･) WEGO 蜴溷ｮｿ 繧ｳ繧ｻ繧､EXPO縲�LIVE EVENT縺ｫ蜃ｺ貍�!! 2014/09/21(譌･) EASTSIDEROCKERZ pre PUNK AROUND THE WORLD VOL.34 笘�8TH ANNIVERSARY 笘�縺ｫ蜃ｺ貍�!! 2014/08/09(蝨�) ROCK IN JAPAN FESTIVAL 2014蜃ｺ貍疲ｱｺ螳�!! B-DASH縺ｮ8譎ゅ□繧茨ｼ� 蜈ｨ蜩｡繧ｫ繧ｱ繧ｳ繝溘す繧ｧ繝ｫ繧ｿ繝ｼ 15蜻ｨ蟷ｴ繧ｹ繧ｿ繝ｼ 繝茨ｼ� 豎ｺ螳�!! 縲�縲�縲�縲�縲�縲�縲��ｽ朶ERVICE4蠕悟､懃･ｭ�ｽ� THANK YOU SOLD OUT!! GLORY HILL縲沓reak the deadRock VOL.1縲阪↓蜃ｺ貍疲ｱｺ螳�!! 8/13(驥�) TREASURE05X with ZIP-FM @Zepp Nagoya蜃ｺ貍疲ｱｺ螳�!! 8/08 ROCK IN JAPAN FESTIVAL 2010蜃ｺ貍疲ｱｺ螳�!! 縲�縲�縲�縲�縲�縲� 縲� 縲� 縲�縲� 譛ｬ螻九∈GO! WOWOW縺ｫ 縺ｦ縲靴OUNTDOWN JAPAN 09/10縲阪�ｮ讓｡讒倥ｒON AIR!! COWNT DOWN JAPAN 09/10蜃ｺ貍疲ｱｺ 螳�!! Scott Murphy meets B-DASH JAPAN TOUR FINAL蜈ｬ貍疲ｱｺ螳�!! 8/28 "GOLLBETTY D-DAY TOUR 2009" @莉吝床JUNKBOX 縺ｫ蜿よ姶豎ｺ螳�!! 10/4 "隨ｬ荳�蝗� 驥郁ｿｦ蜈主ｯ�蜷� 2009繧ｹ繝壹す繝｣繝ｫ" @ZEPP譚ｱ莠ｬ 縺ｫ蜿よ姶豎ｺ螳�!! 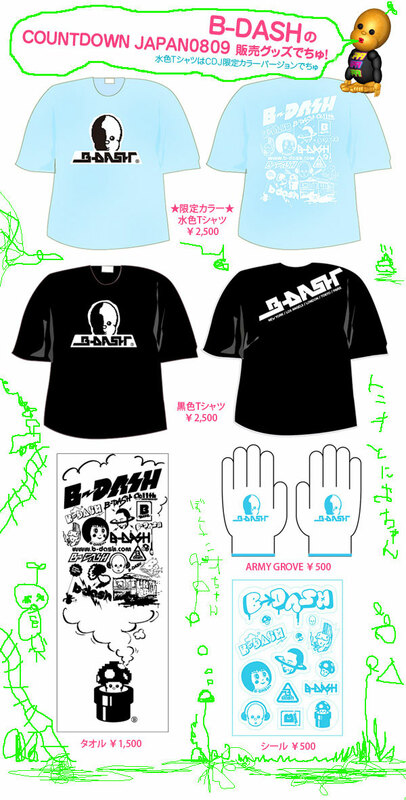 9/25�ｽ� Scott Murphy meets B-DASH JAPAN TOUR豎ｺ螳�!! 8/30 貂玖ｰｷclub asia LIVE豎ｺ 螳�!! ROCK IN JAPAN FES.2009 繧ｿ繧､繝�繝�繝ｼ繝悶Ν逋ｺ陦ｨ!! 8/2 ROCK IN JAPAN FESTIVAL 2009蜃ｺ貍疲ｱｺ螳�!! 7/19縲桑ESEN ROCK FES'09 IN 遞ｮ螻ｱ縲榊�ｺ貍疲ｱｺ螳�!! COPYRIGHT © B-DASH.COM. ALL RIGHT RESERVED.